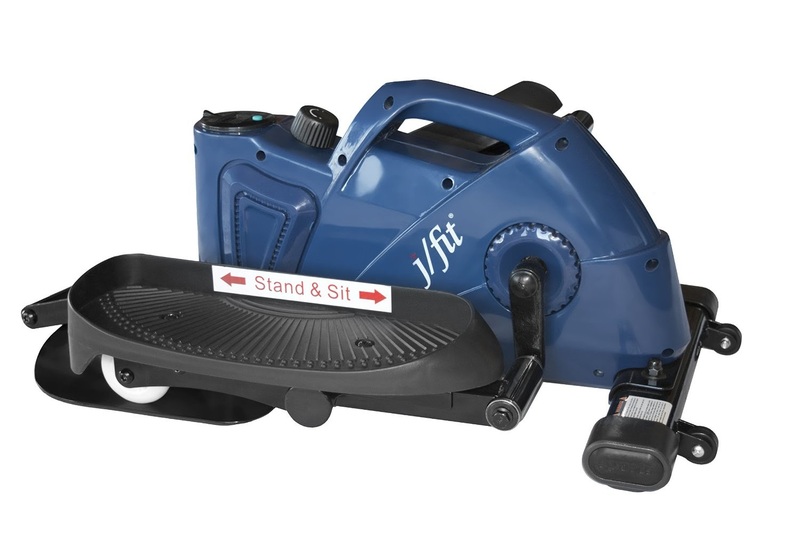 Uniquely designed, the J/fit Under Desk or Stand Up Mini Elliptical features adjustable pedals so you can use this compact machine either sitting or standing – ideal for adding some easy cardio exercise to your daily life! The J/fit Mini Elliptical fits under most desks and features 3 different pedal adjustment modes for the perfect fit – 2 angled modes to adjust for your height and ankle range of motion while using the elliptical seated and 1 flat mode for using the elliptical while standing. It’s quick and easy to adjust from one mode to the next and the J/fit features front rollers for easy rolling out from under the desk and moving around the room and there’s also a top handle for easy carrying. 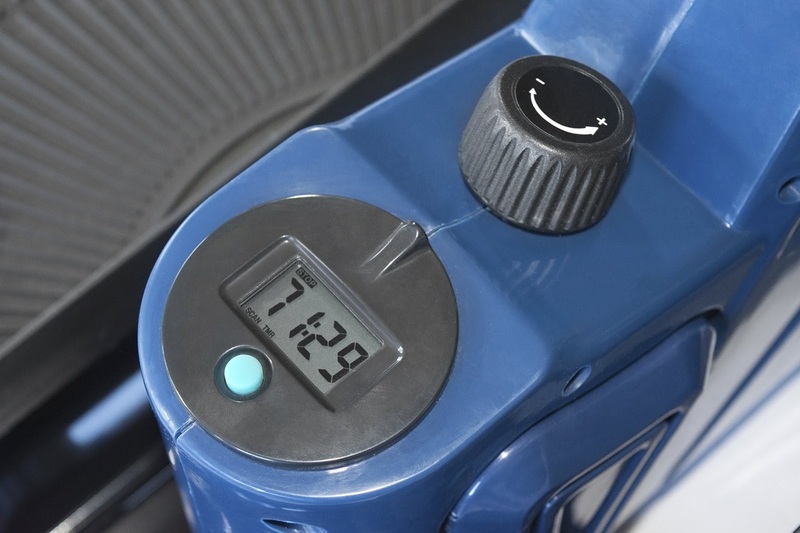 The unit’s front handle offers additional support and can be used to hold a chair with wheels. The J/fit Mini Elliptical utilizes large skateboard wheels for smooth and quiet operation – you can easily exercise while working at your desk, typing, talking on the phone or even at home watching the TV. Besides operating smoothly and quietly, the larger wheels allow for less wear and tear. The J/fit Mini Elliptical features a simple-to-use turn dial for adjustable tension – turn the tension dial up or down to increase or decrease the resistance depending on how much of an intensive workout you want. The J/fit Mini Elliptical incorporates a Series 1050 monitor that displays your time, distance, speed and calories burned. The monitor dial turns for easy viewing for either the standing or sitting mode.